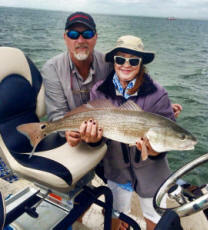 Rhett has the ability and enthusiasm to teach his craft to first timers, as well as a truckload of tales to swap with seasoned fishing veterans. Not to mention great patience bestowed on him by his twin teenage daughters. Captain Rhett is licensed by The U.S. Coast Guard and Texas Parks and Wildlife. 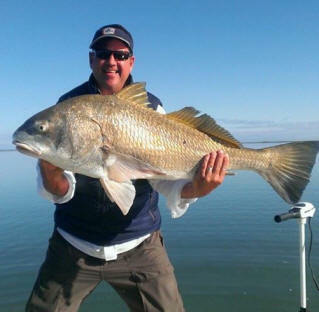 Year after year, customers keep returning to fish again with Captain Rhett. That tells you exactly what kind of fishing charter that he provides. 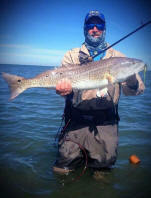 His customer's just keep coming back to fish again with one of the best charter captains in the area. "I have been fishing these waters for over 17 years. Through thousands of hours of research I have marked what I consider only to be the very best spots. And will share only these spots with you in an effort to make your adventure a fruitful one, and guaranteeing a memorable trip."